Philidelphia is a modern renaissance city where history meets innovation and culture. 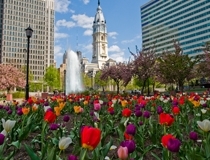 Philadelphia is known for its history, arts and culture, vibrant street life, world-class restaurants and outdoor life. 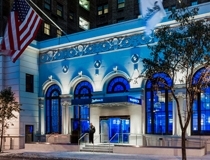 It offers a budget-friendly metropolitan experience for all travelers. Philadelphia is a cosmopolitan city and one of America's most diverse. It is considered the birthplace of American democracy and is a commercial, cultural and tourist hub. Whether you want to savour the impressive culinary scene or indulge in a major shopping spree; Philly is the place to be. Being the iconic city that it is; Philly has a lot on offer. The city is packed with world-class museums, artistic venues and other hot spots that can be found throughout its vibrant neighbourhoods. The large public mural arts program makes the simple act of strolling down the city streets an inspirational experience. The attractions are everywhere in Philadelphia, the big challenge is how to fit it all in! 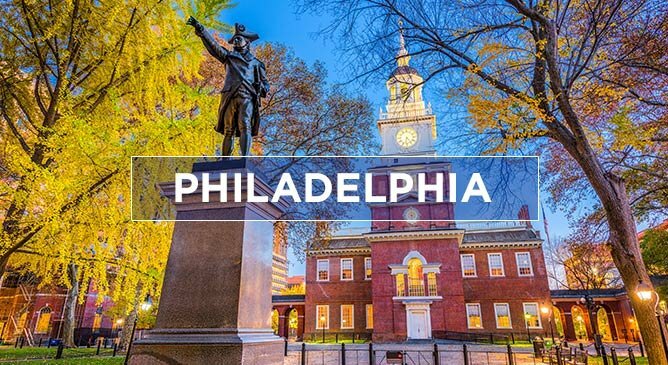 From the Liberty Bell and Society Hill to Chinatown, Philadelphia is a city where you will find endless things to do! 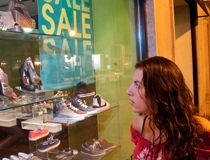 Dubbed the number 2 shopping city in the world by Condé Nast Traveler, Philadelphia offers a shopping haven for visitors with all tastes. Discover lively night life, delicious restaurants and buckets of entertainment when on holidays in Philadelphia. Winters are moderately cold with some snow (average high temperature is 6 °C). Summers are warm and sunny with some humidity (average high temperature 28 °C). Spring and Autumn are moderate and comfortable. 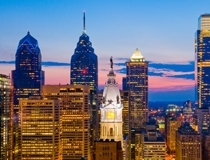 If you are planning a trip to Philidelphia be sure to contact Tour America, experts in American Holidays. Speak to one of our trained travel experts today on 01-8173535.